Oh My God that looks so delectable!!! Mouthwatering! another perfect creation. I just love how you combine various flavors (and textures too at times). I will print this one. This is so sinful but mouth watering! This is a nice combination. I like it! The chocolate sauce makes it more sinful. Awesome. I'm always a fan of a little spicy with my sweet. That slab of cake looks incredible, too. 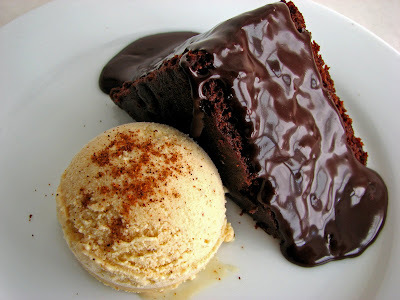 Your Devil’s Food Cake is the best choc cake I've ever baked. Everybody loves it ! Do you have banana cake & carrot cake coming soon ?? Great post and pictures! This post definitely made my stomach grumble. 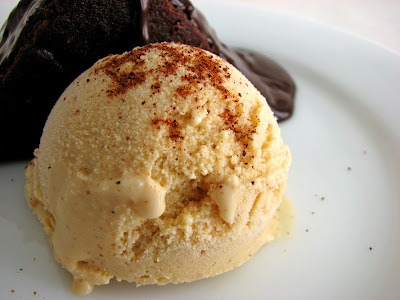 You're ancho ice cream is a great twist with the usual ice cream flavors. I hope I get the recipe right this time because everytime I make cakes, I always tend to burn it. This dessert definitely will go well with coffee made from my new melitta coffee maker Thanks! I can't wait to give this a shot! 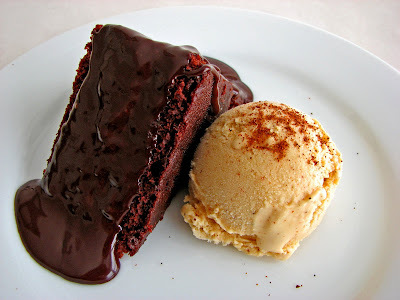 I've been wanting to try an ancho-style choco ice cream, this looks great! 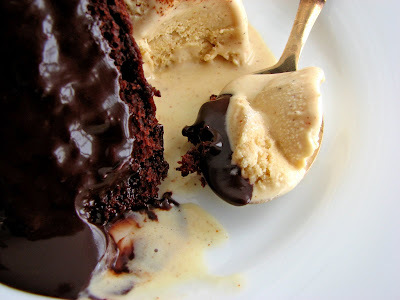 Wow, cake and ice cream at the same time. This seems to be working well. Chili and ice cream seem to go well. hot chile and chocolate. two favorites, and what an interesting pairing.